December is right around the corner (how did that happen so fast?! 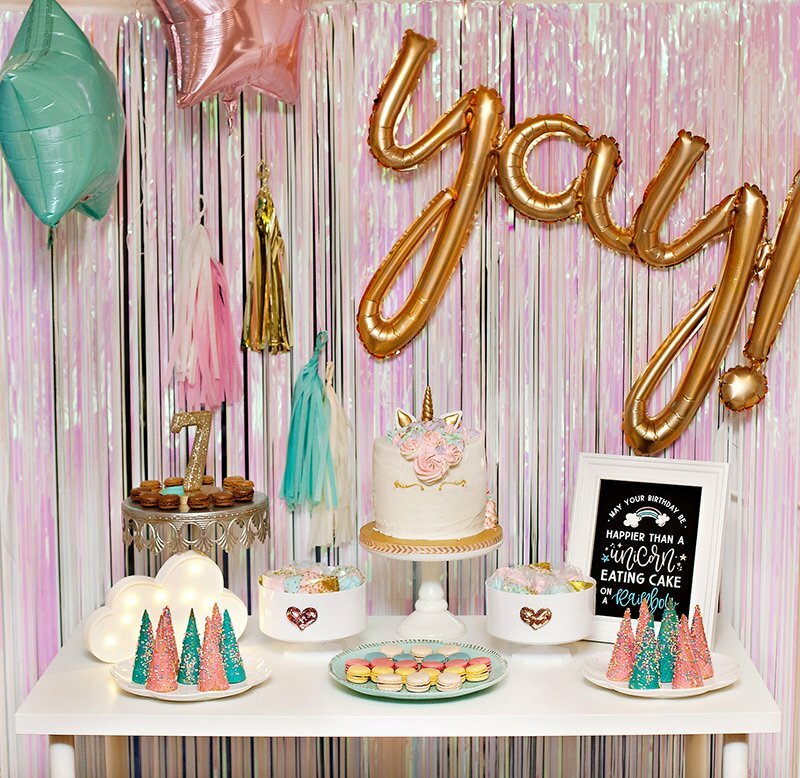 )… so get your sweet tooth ready for the holidays with this adorable, Sugar Plum Fairy-approved celebration! 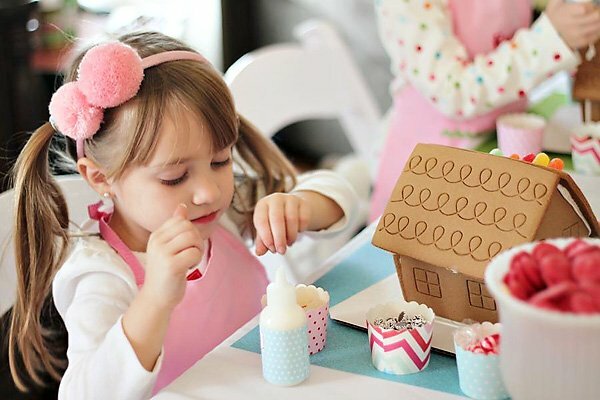 Sara of The Homespun Hostess whipped up this creative Girls Gingerbread Decorating Party for her daughter and friends. 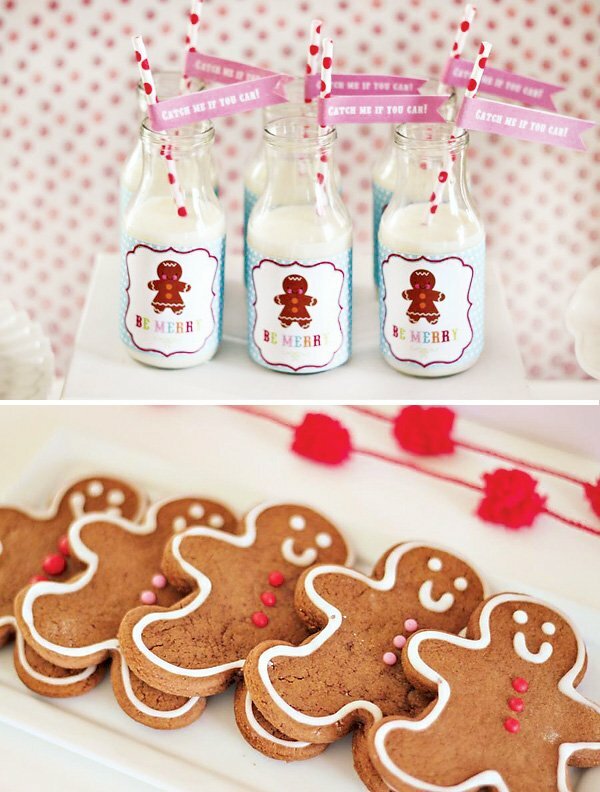 Smiling gingerbread men danced around the room on garlands, cupcakes, and cookies, while the (also smiling!) 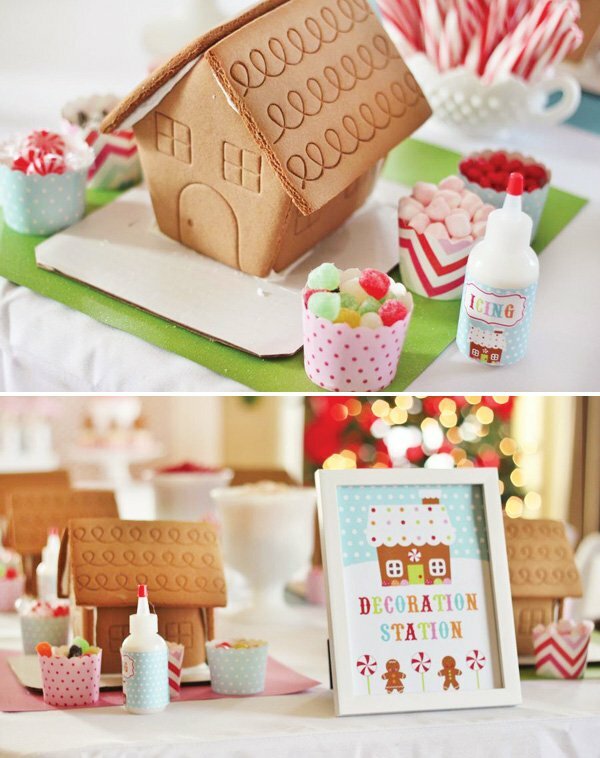 pint-sized decorators adorned their gingerbread houses with sugary treats. 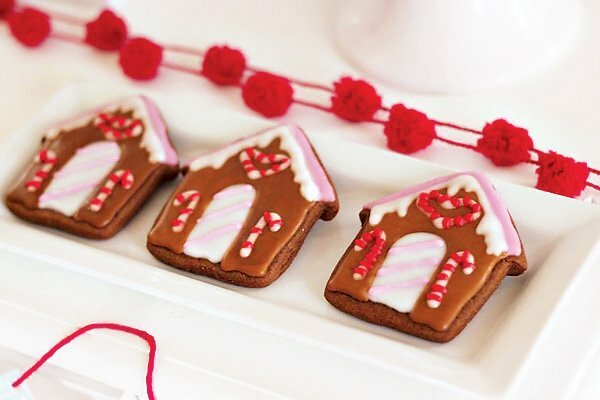 This Gingerbread decorating party was small and sweet. My daughter and 5 of her preschool buddies got together to kick off the holiday season by decorating gingerbread houses. I bought the pre-built houses to save on the frustration of building them and we went straight to the fun part — decorating them! 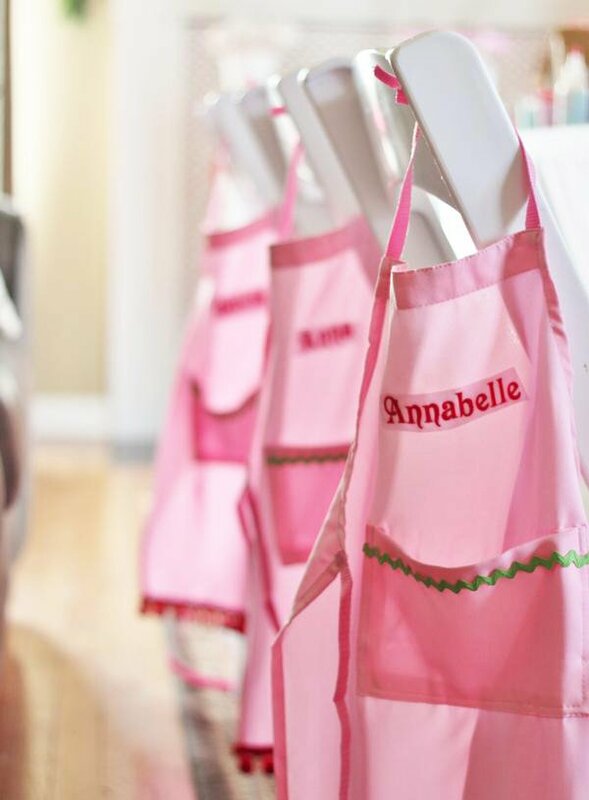 I bought inexpensive pink aprons on Amazon, had them personalized at a local sports shop and embellished them with a little hot glue and ric rac. 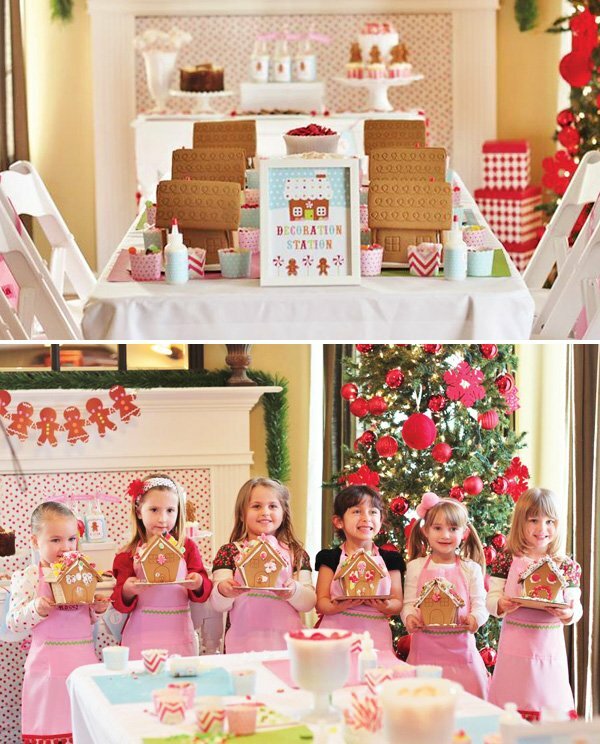 The girls had a blast decorating the gingerbread houses in their matching aprons. 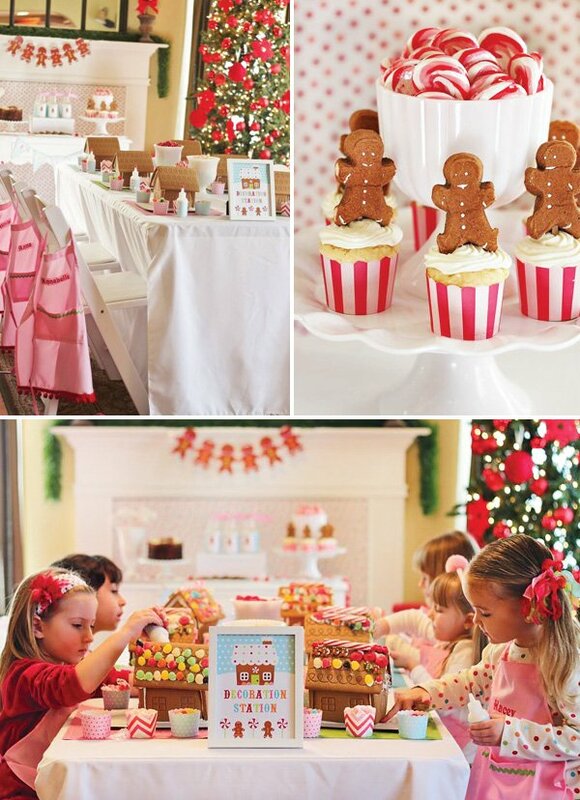 The table was set up as a “decoration station.” Each place setting had 6 cups of candy and mini icing bottles. The girls were so creative. After the decorating, we had lunch, story time (The Gingerbread Boy, of course) and dessert. The desserts were simple: gingerbread cookies, cupcakes with gingerbread marshmallow toppers and peppermint stick cake pops. It was a great way to get everyone into the holiday spirit! Darling!! Such a great idea! Hi Melanie! I found the pre-built houses at Target last year and waited for a sale. I got them for $8 each. I have seen them there again this year too. Hi Sara, can you tell me where you got all your cute decorations? The labels and banners are so pretty! 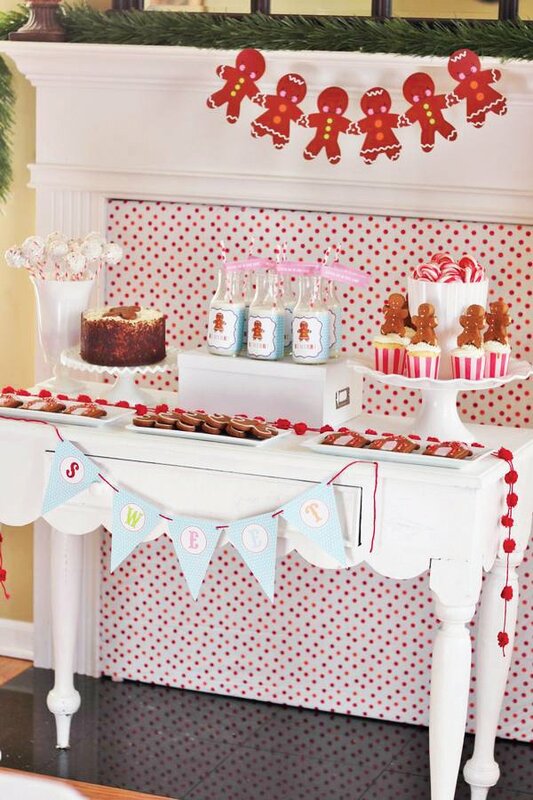 beautiful home decorations for the party. I like your decoration. I had used surfboards decoration on my daughters birthday. It was also giving a stunning look. You can give that a try. Love this so much! 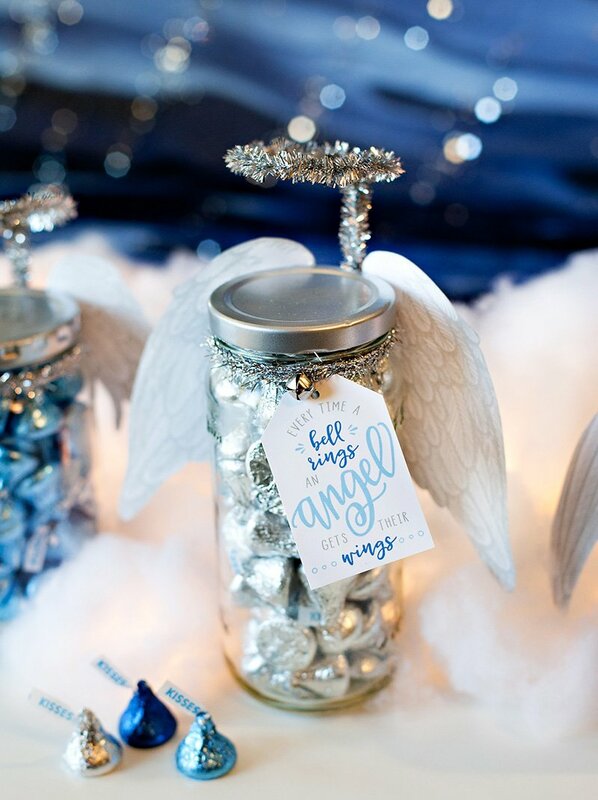 Can you tell me where I can download/purchase the printables you used? Thanks so much!